New Delhi: The Ministry of AYUSH is mandated to promote and propagate AYUSH systems of medicine across the globe. 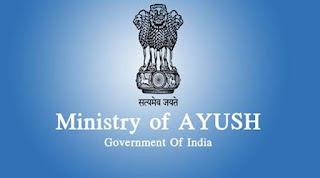 To achieve the objective, the Ministry of AYUSH signs Memorandums of Understanding (MoUs) for ‘Country to Country’ cooperation in the field of Traditional Medicines; sets-up AYUSH Academic Chairs in foreign Universities/ Educational Institutes; establishes AYUSH Information Cells in the premises of the Indian Missions abroad or Indian Cultural Centres for dissemination of authentic Information about AYUSH Systems of medicine and enters into MoUs with foreign institutes for undertaking collaborative research. As a result of concerted efforts, for the first time India has successfully engaged with United States (US) in the field of Traditional Medicine. An India-US workshop on Traditional Medicine with special focus on cancer was organized on 3-4 March, 2016 at New Delhi. A US team comprising of experts from National Cancer Institute (NCI) took part in the two day exhaustive deliberations that have resulted into significant leads. A productive bilateral dialogue with Department of Health and Human Services (DHHS), National Institute of Health (NIH) & National Cancer Institute (NCI) team is ongoing. This information was given by the Minister of State (Independent Charge) for AYUSH, pad Yesso Naik in written reply to a question in Lok Sabha on Friday.